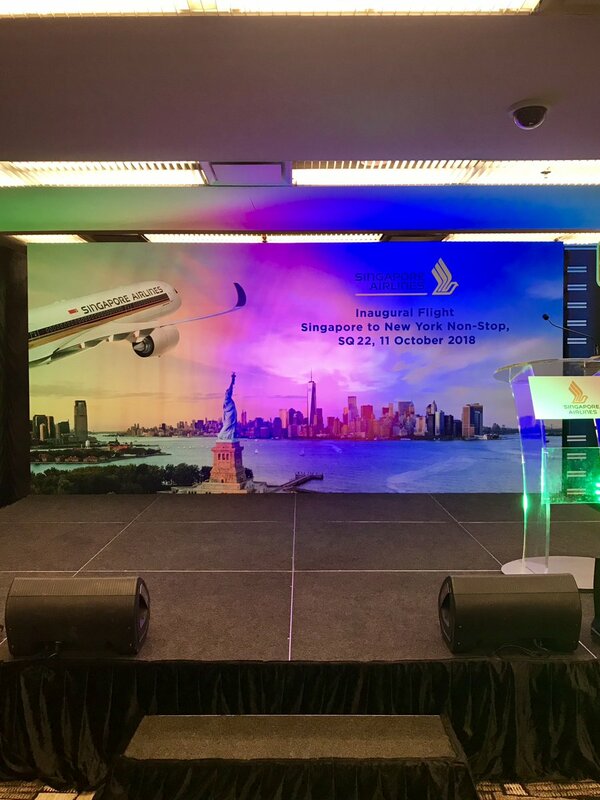 Another milestone in aviation took place on Thursday 11th October when an Airbus A350-941 belonging to Singapore Airlines with the registration 9V-SGB departed its home base of Singapore to operate a non-stop flight to Newark, New Jersey in the USA. 9V-SGB is one of a small number of special ultra-long-range versions of the Airbus A350 aeroplanes which Singapore has ordered to operate really long, long flights. The award-winning airline has configured the super efficient jets with just 67 Business Class seats and 94 Premium Economy Class seats. Which actually doesn't sound too bad when you consider the aircraft will cover a distance of approximately 9,000nm (16,700km), cruising at 37,000 feet and whizzing along at more than 600 miles an hour, you'll want to be comfortable for the 18 hour+ flight time. It isn't the first time Singapore Airlines have operated the route non-stop, they started it in 2004 with another Airbus aircraft, an A340-500. However, the four-engined long-haul jet proved to be uneconomical as fuel prices rose dramatically and Singapore Airlines called a halt to the service and those lovely A340s were handed back to Airbus. This time the well-respected carrier will initially operate the route in three times a week, then move to a daily schedule as another of the A350-900ULRs arrive. The direct flights are said to save passengers around six hours that a transfer on an in-direct flight would take, which business passengers welcome. It also sets the Asian carrier apart from its competitors and that should help it take an even bigger slice of the market. 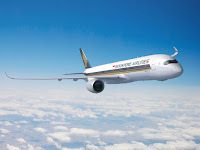 “Singapore Airlines has always taken pride in pushing the boundaries to provide the best possible travel convenience for our customers, and we are pleased to be leading the way with these new non-stop flights using the latest-technology, ultra-long-range Airbus A350-900ULR,” said Singapore Airlines’ CEO, Mr Goh Choon Phong. 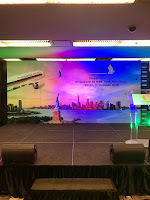 “The flights will offer our customers the fastest way to travel between the two cities – in great comfort, together with Singapore Airlines’ legendary service - and will help boost connectivity to and through the Singapore hub.”. Passengers arriving at the gate for the inaugural flight were greeted with bright, colourful celebrations, singing Singapore cabin crew. Hot dogs and New York cheesecake was also served to get the party started and whilst the flight took off just a little late, with the wind, it's still likely to arrive ahead of schedule. But will the worlds longest commercial flight be successful the second time around? 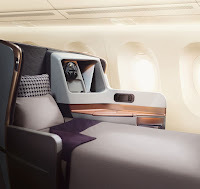 It's way too early to say, although when we checked and midnight, there are still seats available in both business class and premium economy for the next three flights. Plenty of room on the Singapore Airlines Airbus A350-900ULR. Business class features 67 lie-flat seats.